Brown "Hessian" style printed paper bag with card base. 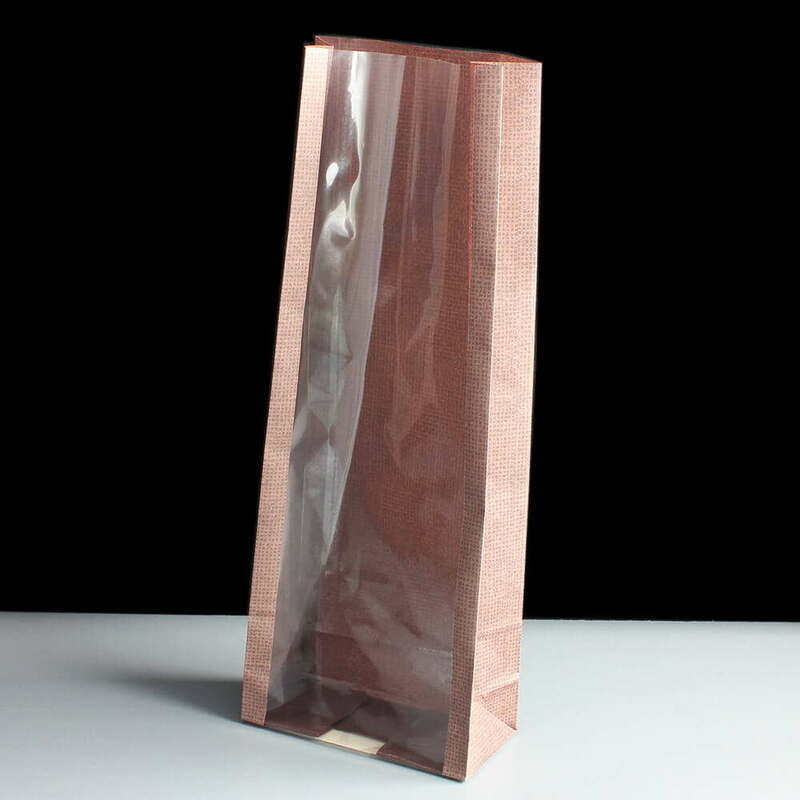 Fully film lined paper bag with gusset. 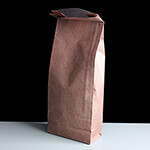 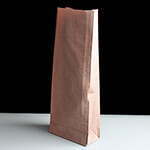 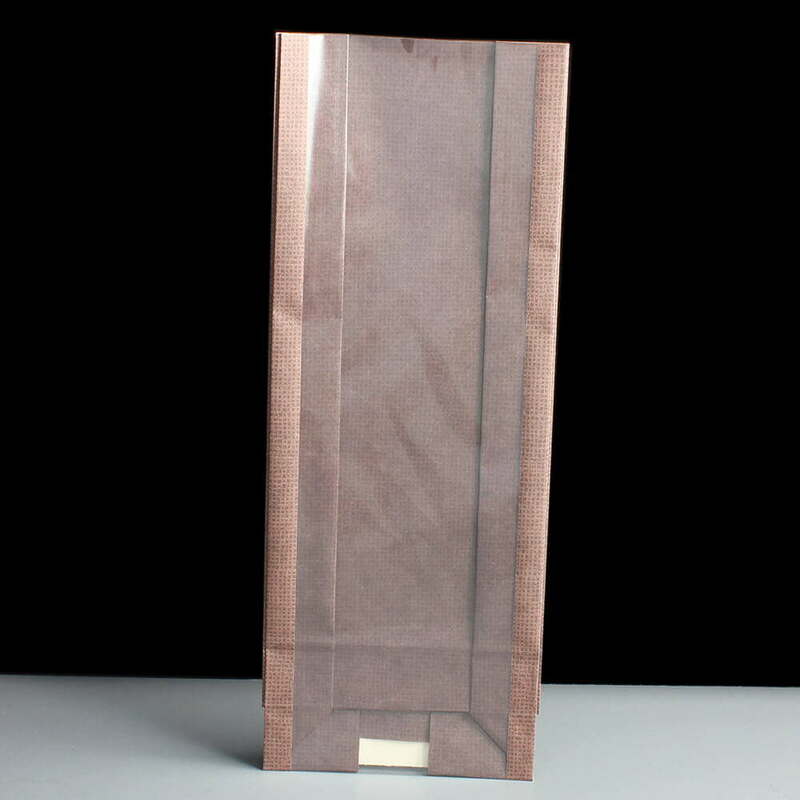 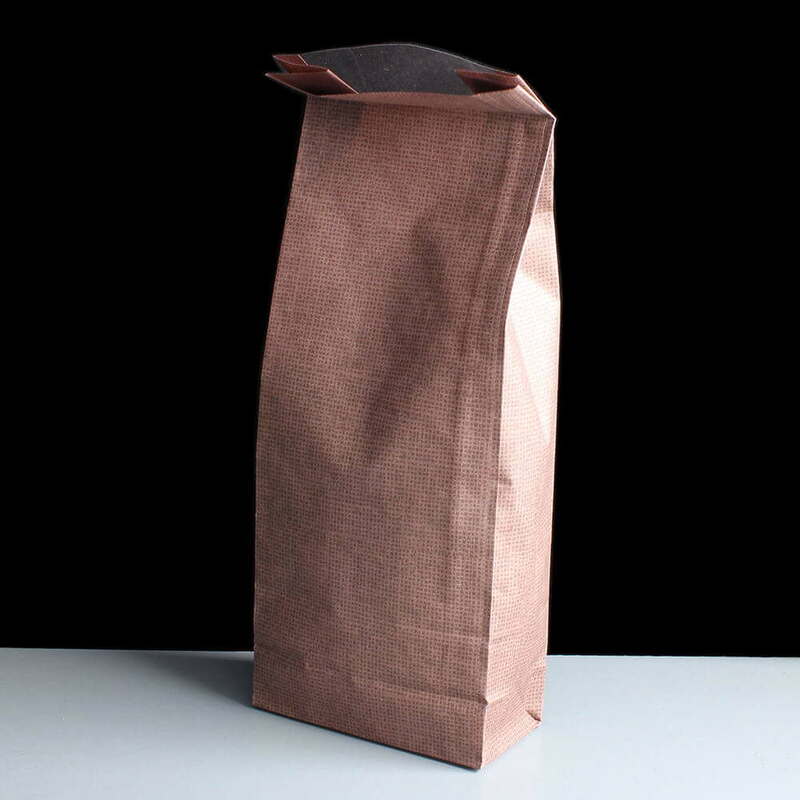 A fully film lined, gusseted paper bag with a base of approx. 40 x 85mm and a height of 240mm with a film window. 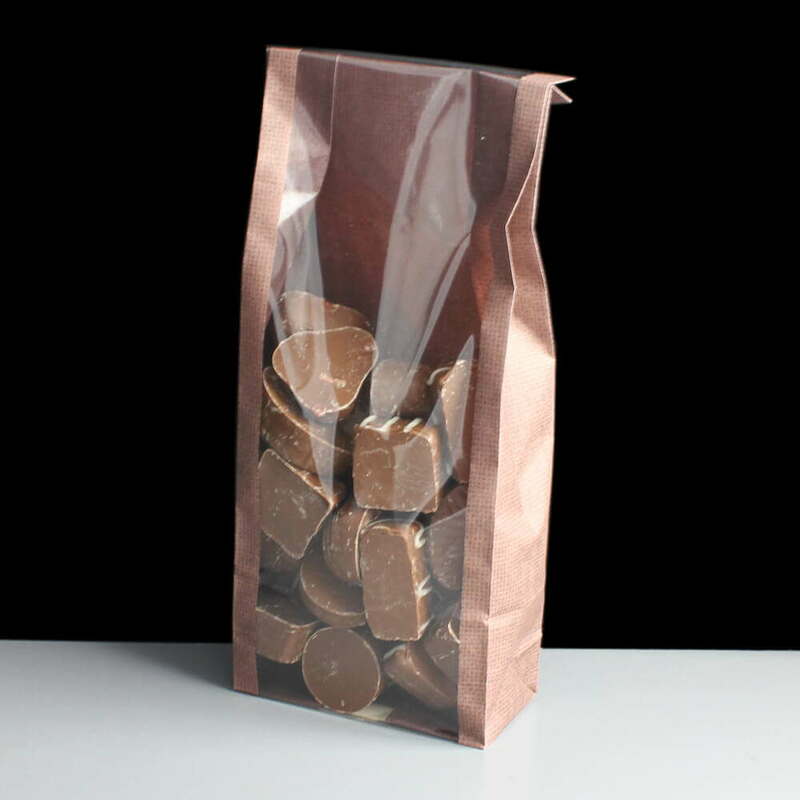 Ideal for packaging handmade chocolates sweets, confectionaries, toffees and fudge all year round.